A heartfelt if somewhat unsurprising view of old age by the former president. Carter (Living Faith, 1996, etc.) succinctly evaluates the evolution and current status of federal policies concerning the elderly (including a balanced appraisal of the difficulties facing the Social Security system). 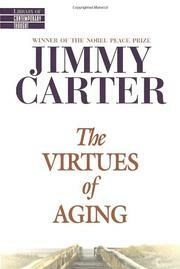 He also meditates, while drawing heavily on autobiographical anecdotes, on the possibilities for exploration and intellectual and spiritual growth in old age. There are few lightning bolts to dazzle in his prescriptions (cultivate family ties; pursue the restorative pleasures of hobbies and socially minded activities). Yet the warmth and frankness of Carter’s remarks prove disarming. Given its brevity, the work is more of a call to senior citizens to reconsider how best to live life than it is a guide to any of the details involved.